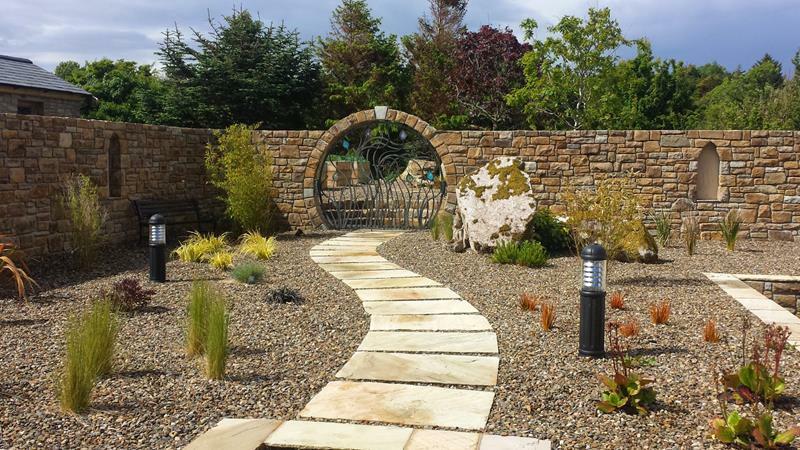 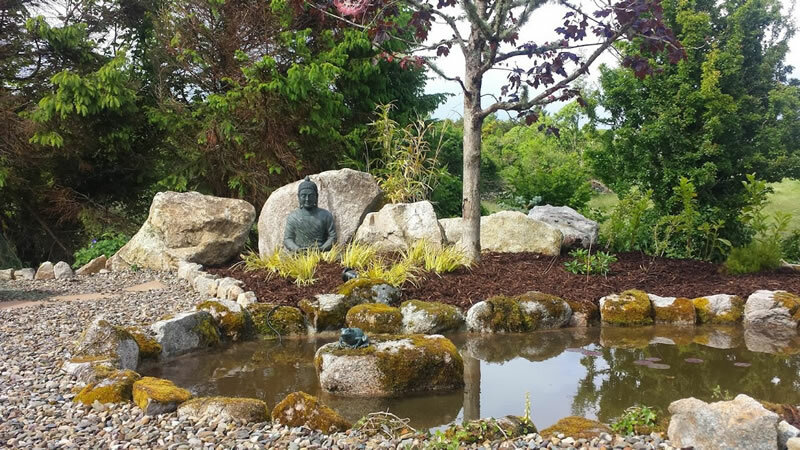 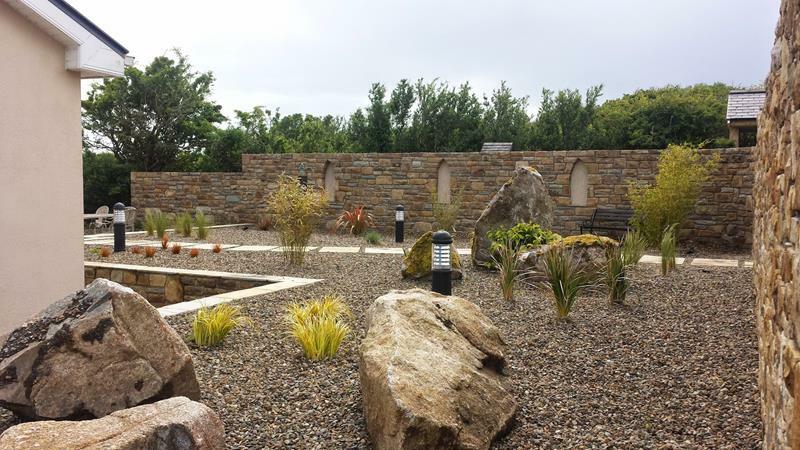 This garden in Connemara was designed to be a low maintenance garden with shelter introduced in order to enjoy the space. 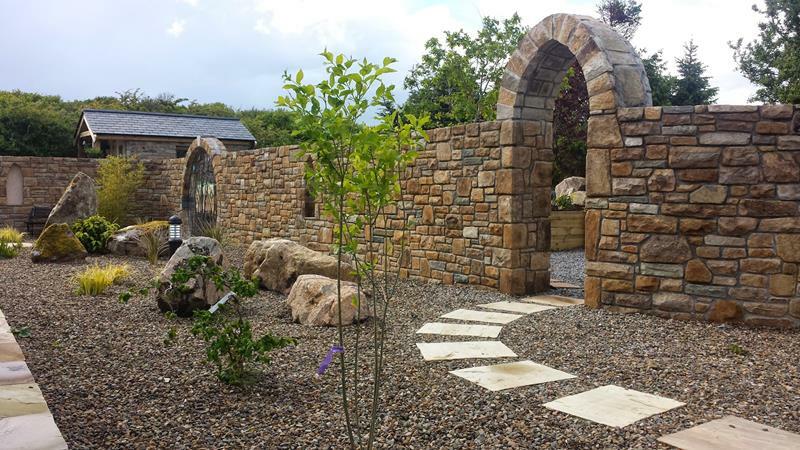 With this in mind a feature stone wall was constructed with access to a raised outer garden through a circular opening. 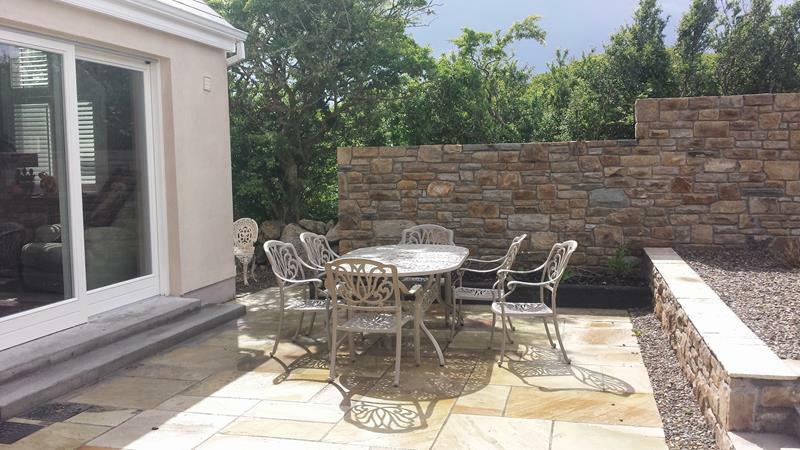 A reflective pool was installed and two patio areas created. 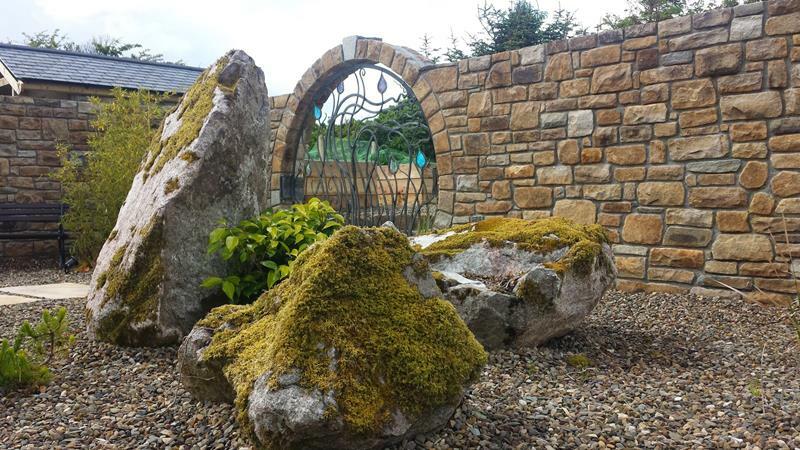 Reclaimed Railway Sleepers were used to construct dividing walls.